Nationally, people with mental health needs have the lowest employment rate of any disabled group, with only 24% securing long-term work. Fewer than four in ten employers will consider recruiting someone with a history of mental health problems. Whilst people suffering mental illness have the lowest employment rates of any group of disabled people, they are more vulnerable to the negative effects of unemployment. One in four people in Surrey suffers a psychiatric disorder at some point in their lives. Surrey is perceived as an affluent area, and yet, there are hidden pockets of deprivation where there are high levels of child poverty, low income and poor mental health. 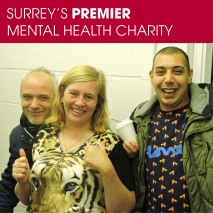 Surrey residents undoubtedly face significant challenges to their mental well-being; the county has the highest average house price in any UK county, high levels of debt and people living in Surrey work many hours longer than average. 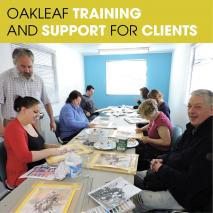 Oakleaf is the only charity offering a comprehensive vocational training and support service for mentally ill people in south west Surrey. 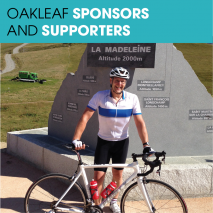 We currently support approximately 400 people in both social inclusion activities and the following vocational training. Upholstery: A very therapeutic practice involving restoring modern and traditional furniture and re-covering furniture pieces such as sofas, armchairs and dining chairs in new fabric. 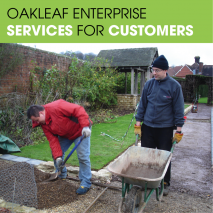 Horticulture: The therapeutic nature of gardening, and scope for self-employment, is particularly suited to many clients. Working in a team encourages punctuality, commitment and motivation and promotes social cohesion. IT: Providing clients with computer-training in the most commonly used Microsoft Office packages, making re-entry into the workplace closer and easier.